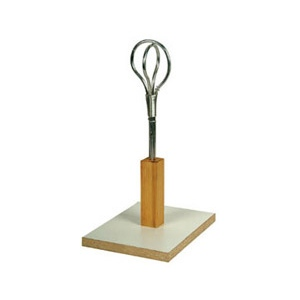 * This strong, fully adjustable head armature is built of nonstaining, pliable almaloy wire. * Its base is Formica on heavy gauge flakeboard or plywood and the backirons are made of sturdy steel. * Use to model heads.